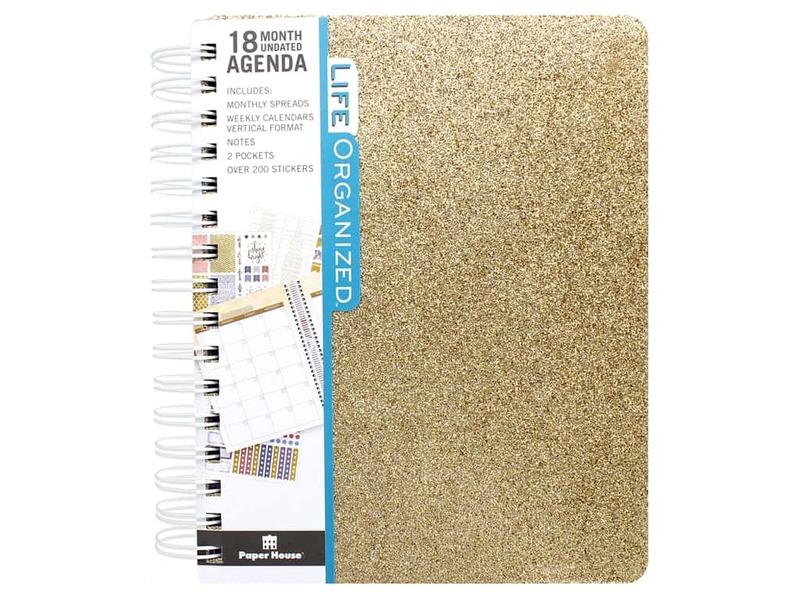 Description: Paper House Collection Life Organized Planner 18 Month Gold Glitter- Planner has 18 months of undated pages, monthly & weekly spreads, notes pages, 18 designer monthly dashboards, 2 pockets, and over 200 planner stickers. Cover features duo colored glitter in gold and antique gold encased in a thick resin for a smooth finish that will flake off. Spiral bound agenda planner measures approximately 7.5 in. x 8.5 in. x 1.5 in.